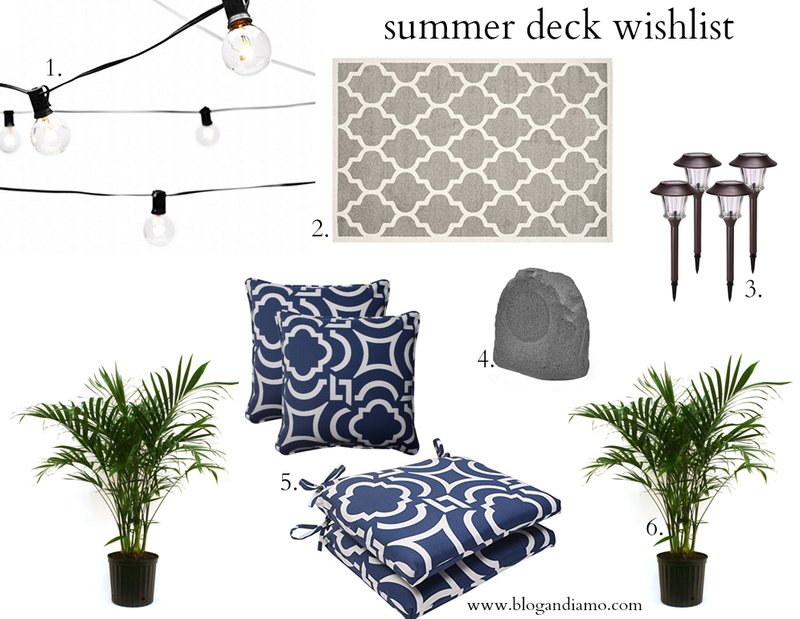 Other than ripping out the entire deck and starting from scratch (not gunna happen, like ever), I have some little updates and things on the dream wish list that will freshen up our deck for our summer of pool fun (are you tired of hearing about the pool and summer yet? I'd apologize but I know it won't get any better). So what else? Just trying to make the deck even more amazing, is where I'm at. What are some staples you guys must have for your summer deck days? the rock speaker! yes!!! i have always thought that was such a brilliant idea. oh, you guys are going to have the best summer! Well, not this is shaping up to be a great summer! Pool and new patio decor? Partyyyyy!!!! ok you're now inspiring me to do something more with my porch. i am lazy about it bc i just don't go out there in the summer. too hot. oh i cannot wait to jump in that pool!